The 10th Vandoeuvre International Open took place on 26-30th December at the Parc des sports, rue de Gembloux à Vandoeuvre, in Nancy, France. The event consisted of three playing groups – Open A (for players rated over 1900, valid for title norms), Open B (U2000) and Open C (U1500). 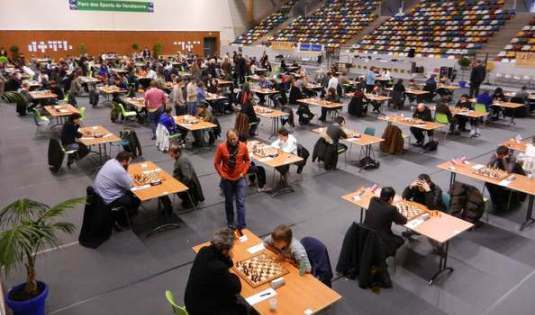 The Open A had 49 participants, including nine Grandmasters. Hungarian GM Adam Horvath took a clear first place with 7,0/9 points to claim the top prize of 1500 EUR. The Open B had 69 players. French juniors Quentin Da Silva and Lucas Bajoni shared the first place with 7,5/9 points each.